Get to Know Her Voice Actor Erika Harlacher! Being the center of school gossip is a quick way to make anyone feel like an outcast, and Persona 5's Ann Takamaki gets the full brunt of that. Ann is a beautiful girl plagued by unjust rumors from her peers on a daily basis. 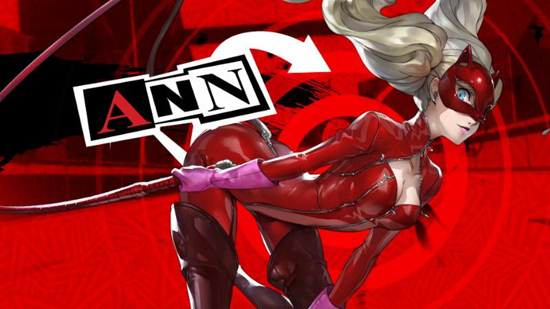 But despite the Scarlett Letter treatment, Ann cares deeply about her friends...which is why she's so eager to pick up the mask and join the Phantom Thieves. Well, that and also to spite the rumors about her and the "excessively friendly" gym teacher at Shujin Academy. And while the Phantom Thieves won't be done with just one lecherous gym teacher, Ann winds up being the closest thing to the group's moral compass. Plus, she's just a total badass that you'd want watching your back in a fight.